In Boston federal court, mobster Stephen “The Rifleman” Flemmi isn’t the one currently on trial. But listening Wednesday to the defense teams’ opening arguments in the murder trial of his former partner and the partner’s associate, it was hard to tell. Flemmi, who’s serving a life sentence for admitting to 10 murders of his own, is expected to be the star witness in the case against the now-84-year-old Frank Salemme, the former head of the New England Mafia, and associate Paul Weadick, 63. Both were charged in 2016 in connection with the death of Steven DiSarro, a Westwood man who managed a nightclub for Salemme and his crew in what’s now Boston’s Fort Point area. Assistant U.S. Attorney Fred Wyshak — a longtime mob prosecutor who’s been pursuing Salemme, Flemmi and another notorious Boston mobster, James “Whitey” Bulger, for years — said in his opening that DiSarro was the weak point in a precarious criminal enterprise. And once a federal agent told DiSarro that he was facing indictment, Salemme and his crew became even more worried about him testifying against them. Wyshak says Salemme didn’t intend to go back to prison — he’d just spent 16 years there. So, Wyshak says, he ordered the hit to be carried out by his own son and Weadick. “The pressure of the federal investigation was mounting on the Salemmes,” Wyshak told jurors. “And DiSarro was the weak spot. Steven DiSarro wasn’t a made guy, and they couldn’t trust him. That’s where the now-83-year-old Flemmi comes in. Prosecutors say he’ll testify that he walked into the kitchen of Salemme’s house in Sharon, saw Frank Salemme Jr. with his arm around DiSarro’s neck, and Weadick helping hold him down. He told the older Salemme, “I’ll see you later,” Wyshak said, and walked out the door. Salemme shook his head and clenched his jaw as Wyshak previewed Flemmi’s testimony. Salemme’s longtime attorney, Steve Boozang, patted the elderly man’s leg as if to calm him. But Salemme admitted to his misdeeds, Boozang said, when he testified in 1999 against corrupt FBI agent John Connolly and then went into the witness protection program. One crime he didn’t admit to was DiSarro’s killing. “He’s admitted to several gangland slayings, shaking down bookmakers,” Boozang said. “He stood up and was honest about it, but he’s categorically denied this. “Just because he’s done these bad things, doesn’t mean he’s done this,” he added. Flemmi also testified against Bulger in this same courthouse in 2013. 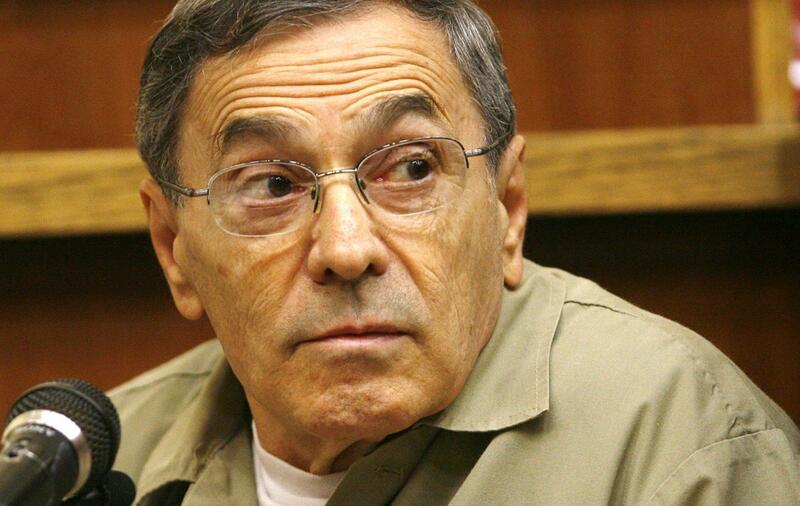 Both Flemmi and Salemme sit in separate jails, Flemmi guaranteed to die there, Salemme’s fate undecided. Jurors will have to choose which aging gangster they believe. In court Tuesday, federal judge Mark Wolf accused the Department of Homeland Security of breaking its own rules by holding immigrants who are married or engaged to American citizens for extended periods without notifying them of their right to a hearing or notifying their attorneys. The Massachusetts attorney general's office went on the defensive during a state Supreme Judicial Court hearing Tuesday. 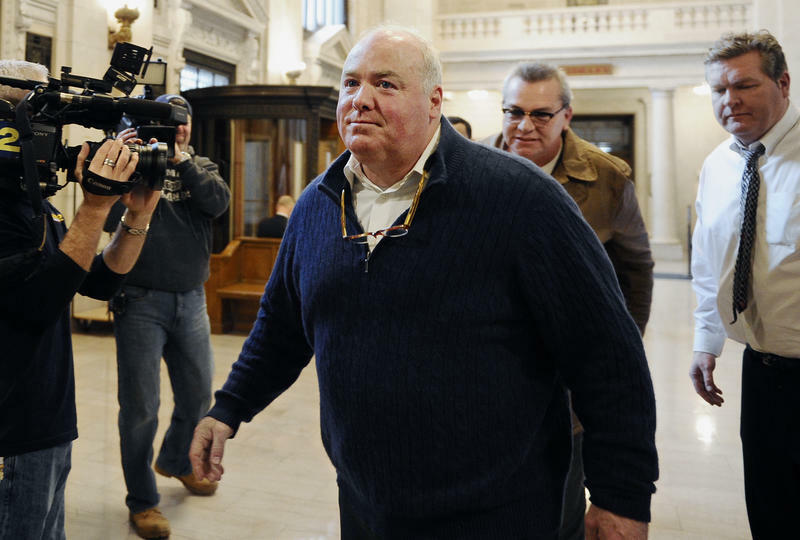 In a stunning reversal, the Connecticut Supreme Court on Friday vacated Kennedy cousin Michael Skakel's murder conviction and ordered a new trial in connection with the 1975 killing of his 15-year-old neighbor, Martha Moxley, in Greenwich. Should a judge who admitted to engaging in sexual acts with an employee in his court — including in his chambers — keep his job?